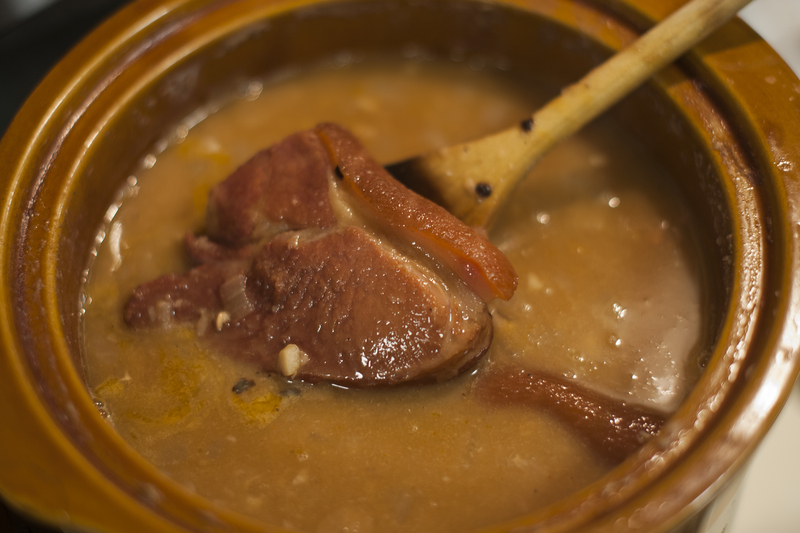 1 - Put 2 thawed ham hocks in a slow cooker along with 6 cups of water, 3 cups of dry black-eyed peas, one diced, medium onion, 4 diced cloves of garlic, 2 teaspoons of seasoned salt, 2 teaspoons of ground black pepper. 2 - Set to high and cook for 6 hours, stirring occasionally. 3 - Use a slotted spoon to serve peas. 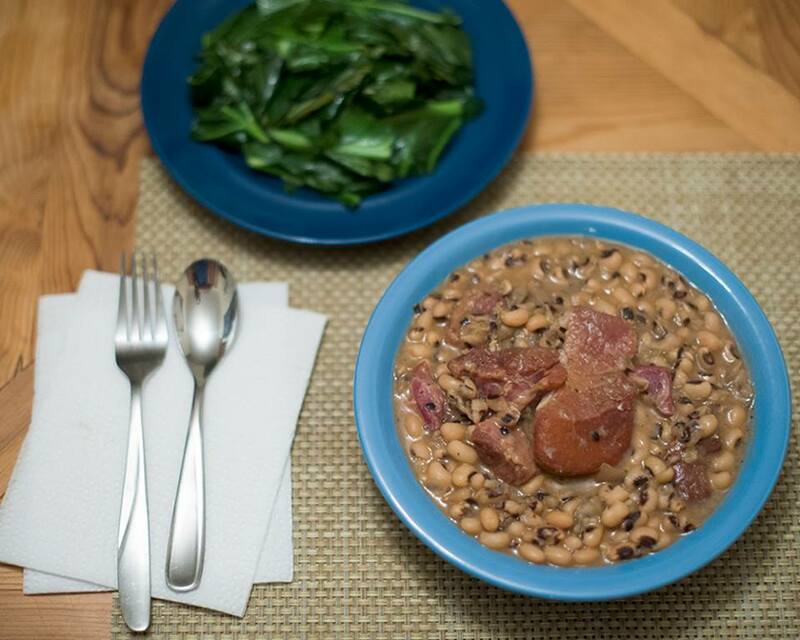 Pull meat out and toss bones and skin, place over peas in a bowl and serve with pan-friend collared greens and cornbread.